А variety of foods and beverages! 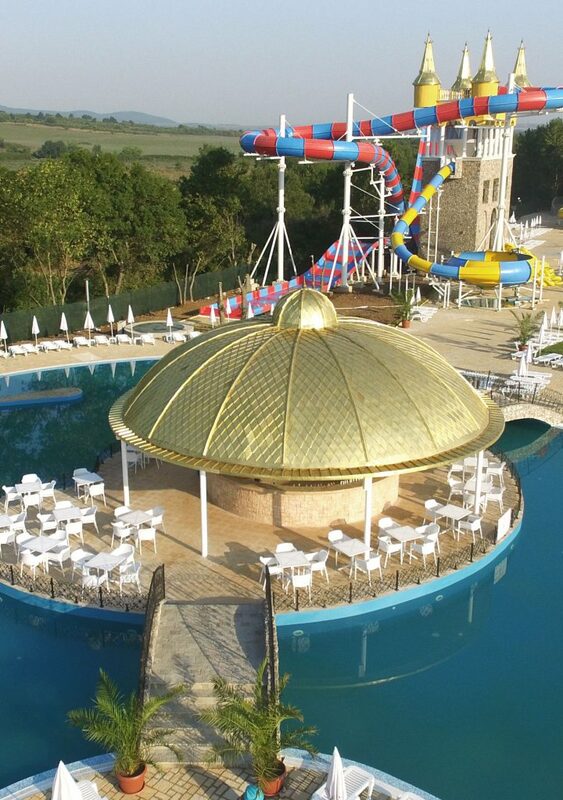 Aqua Park “Neptune” is designed in such a way that, its guests, regardless of their age, can have fun for a whole day without having to leave its territory. The 4 bars, one of which – water, offer a huge variety of attractive cocktails, alcoholic, non-alcoholic and hot drinks. The large food corner offers a salad bar and a rich sandwich, pizza and grill menu, fresh fruit jams and desserts. Every day at a certain time of the day a Happy Hour is announced – 2 cocktails at the price of one. The biggest adventurers can keep the high adrenaline with „Daikiri“ and „Caribbean Citronades“ at the Tornado Bar. Everybody knows that the summer party doesn’t wait for the sunset, so don’t waste time, our Party Bar is waiting for you! Time for a break? The fantastic Water Bar is ideal for cold tea with aloe vera or ice cream cocktail! Energy from sunrise to sunset? Visit our Children’s Bar / for all ages / and find it in your favorite chocolate smoothie!